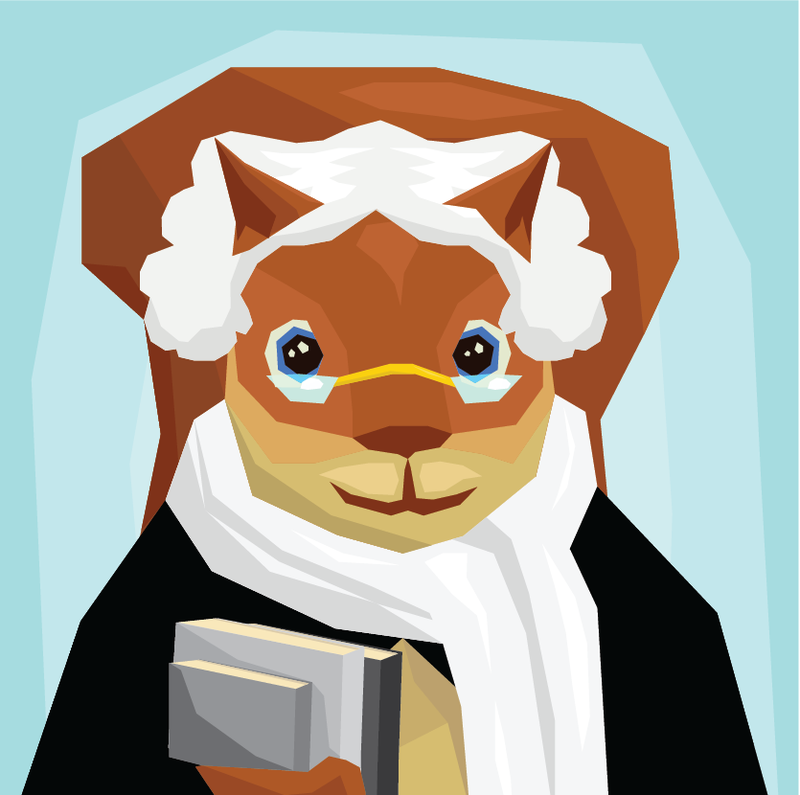 Larry the Squirrel dressed like George Washington again this year because he and the squirrels dug up new facts about how indestructible George was. The squirrels also gathered facts about all the presidents and made a quiz to test your presidential knowledge. For our older readers, Larry added a link to a new radio play by Kathleen Vincenz about two high school students who love each other but love to bicker more. 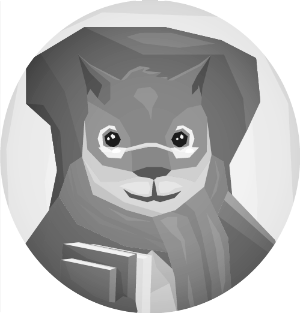 We told you that the squirrels had un-buried facts about how tough George Washington was. Well, George Washington was so tough … that in his lifetime, he suffered from tuberculosis, malaria, smallpox, dysentery, and pneumonia. Whew! It wasn’t unusual back then to get one of these illnesses but it was unusual to survive them all! 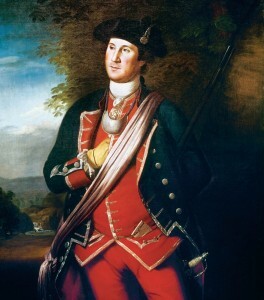 And, he was so tough … that during a battle in 1755, his two horses were shot out from under him, and he found four bullet holes in his coat, and none in him. But that’s not all … once he danced at a ball for three hours without sitting down! 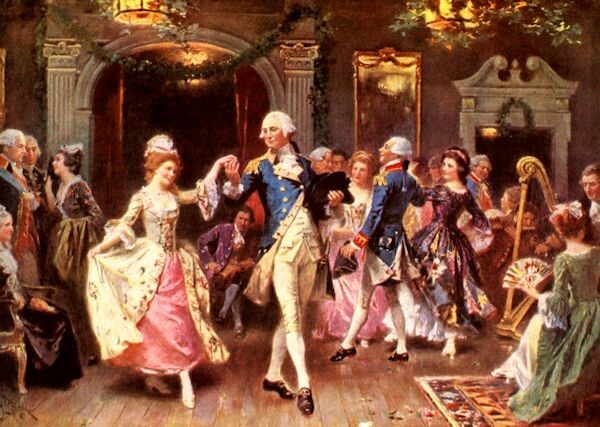 Jean Leon Gerome Ferris, “The Victory Ball, 1781”, ca. 1929. And the ultimate toughness? His hair! Even though the fashion at the time to wear a wig, George Washington didn’t. He kept his hair long and tied in a ponytail. He did powder his hair, which was also the fashion. No one knew it, but the book contained an envelope with George Washington’s hair. Some people who are hair experts examined it and determined it was indeed George Washington’s. They were also helped by the fact that they could track the ownership of the book. By the way, giving someone your hair was another fashionable thing to do during George Washington’s time. A person might give their loved on a lock of hair when they get engaged. Do you have your scissors ready? A fun quiz to test your knowledge of the presidents. For our older readers, here’s a new-time radio play by Kathleen Vincenz in a tale inspired by the old-time radio program Cecil Loves Sally about two teens who bicker, bicker, bicker. This entry was posted in Articles and tagged george washington, middle grade, radio, squirrels at the door. Bookmark the permalink.